Relieve tension the natural way with REWIND for restoration! Our essential ointment is made with a 3:1 ratio of CBD to THC to ensure fast, localized relief every time. 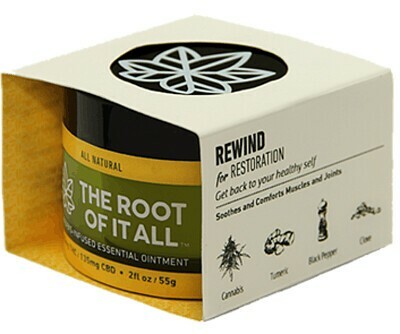 REWIND is infused with an Ayurvedic blend of turmeric, black pepper, and cloves; ingredients known to soothe aches and pains from sore muscles and joints, naturally. All-natural and allergy friendly.